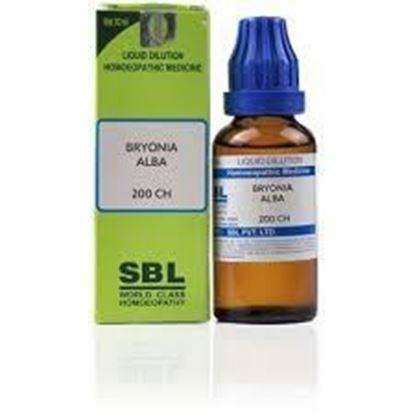 Information about SBL Bryonia Alba Dilution 200 CH Also known as Wild Hops, Bryonia Alba has its curative effects on each and every organ of the body. The root procured before flowering is used for therapeutic purposes in homeopathy. Mind Very irritable and angry, wants to be left alone , undisturbed Very business-like, limited perspective on things, desire money, which makes them insecure, feel they will get poor one day. Mentally agitated and confused wherein they wish to go home even though they are at home Head Severe headache so much that it appears that the head would burst and everything would be squeezed out. Pain is located at the back of the head. Pain worsens on any kind of movement, even of eyeballs Nose Nose bleeds when periods are known to appear. Lips, mouth feels dry, person thirsty for abnormally large amounts of water, the mucus sticks in throat and loosens only after a lot of hawking. Excellent remedy for dry coughing that increases in the night, in a warm room and with severe pain in the chest so much that one needs to hold the chest. Stomach feels a lot of pressure that worsens after eating. Liver region swollen, Pain in abdomen. Good remedy for constipation, stools are dark colored which is worse in morning. Stiffness in joints which are red and swollen. Dose- As prescribed by physician. Can be taken along with allopathic medicines. Precautions Maintain half an hour gap between food/drink/any other medicines and homeopathic medicine. Avoid any strong smell in the mouth while taking medicine e.g. camphor, garlic, onion, coffee, hing. 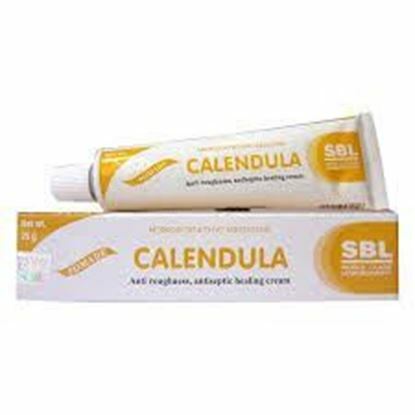 Also known as Calendula Cream Properties FormOintment Weight40 (gms) Dimensions12 (cm) x 2.7 (cm) x 2.7 (cm) SBL CALENDULA OINTMENT Anti roughness, anti septic healing cream. Calendula: It is a remarkable healing agent, applied locally. Useful for open wounds, parts that will not heal, ulcers. Superficial burns and scalds. Has remarkable power to produce local exudation and helps to make acrid discharge healthy and free. REPL Dr. Advice No Properties FormDrops Ideal ForMale Weight50 (gms) Dimensions3.5 (cm) x 3.5 (cm) x 8.6 (cm) Dr. Advice No. 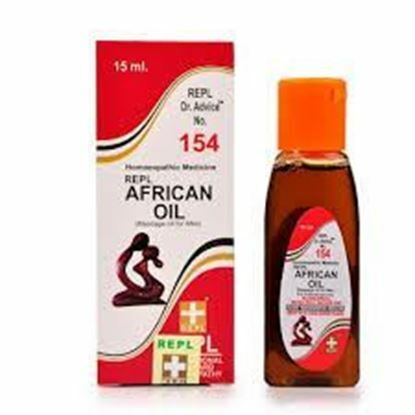 154 (African Oil) Composition (Ingredients): Chimaphilla Q Belladonna Q Arnica M Q Agnus C Q Yohimbinum Q Withania somnifera Q (Aswgandha) Oleum sinapis exppressum Q. S.
Properties Weight90 (gms) Dimensions90 (cm) x 90 (cm) x 90 (cm) SBL Drops No 1 Hair Care Hair related problems are common and arise either due to any deficiency or defective nutrition of hair. Associated Diseases may also cause hair fall, problems like dandruff and less nutritive diet may also lead to whitening of hair.Hormonal changes can also lead to early greying of hair. 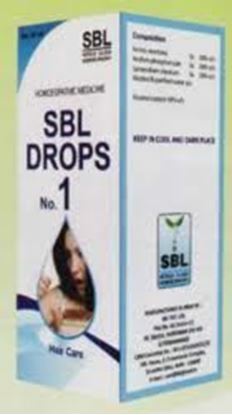 Indication of SBL Drops No 1 Hair Care Hair Falling, Itching and Irritation of Scalp, Dandruff and Premature Greying. Action of composition used in SBL Drops No 1 Hair Care Arnica montana 3x: Hairfall with early greying. Acidum phosphoricum 3x: Hair gray early in life; falls out, Hair thins out, Lycopodium clavatum 3x: Premature baldness and gray hair. 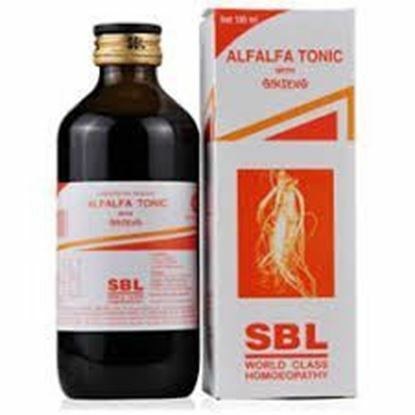 Dosage of SBL Drops No 1 Hair Care 10-15 drops of SBL No.1 drops in 1/4 cup of water, 3-4 times a day Terms and Conditions We have assumed that you have consulted a physicianbefore purchasing this medicine and are not self medicating.